I hope you're all doing well this weekend! 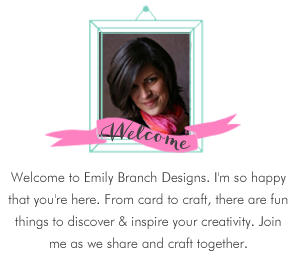 This week I've been busy working on submissions, organizing my ribbons onto a fabulous to new ribbon rack, moving cards around and working on projects for my design teams. I made a nice buy this week on a spinning card rack to put in the office I share with my hubby. A favorite boutique store of mine (one that my mother and I have spent years buying the most precious Christmas ornaments, jewelry and home items at) is finally closing. This was upsetting news as this store has been a staple for my mom and I as well as many others to shop at, meet at and be inspired. The most wonderful owner Natalie and her parrot, Jake will be moving to Florida to take care of her mom, so I wish her well. However, she was having a marvelous sale, and this spinning card rack was a perfect find in organizing my cards. Here's a picture of it. I am currently using it to hold cards for publication submissions, and cards that I plan to put on Esty to sell! My other fabulous purchase in helping to organize the office was a wall-mountable ribbon holder from Michael's for $11.99!! I love the way the ribbons hanging on it bring a splash of color to the wall. On top I have little containers holding specialty ribbons, buttons and Copic's. Here's that fabulous find. 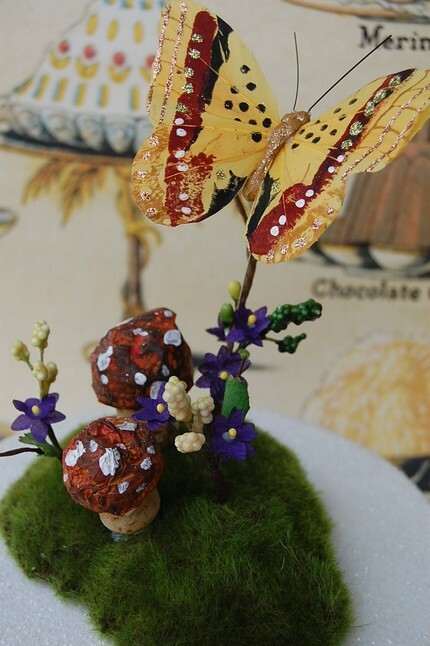 So, the Glittery Love Birds and Love Birds with Rosehip and Russet with Violets are the two pieces in this shop that inspired me! Here are my two designs. 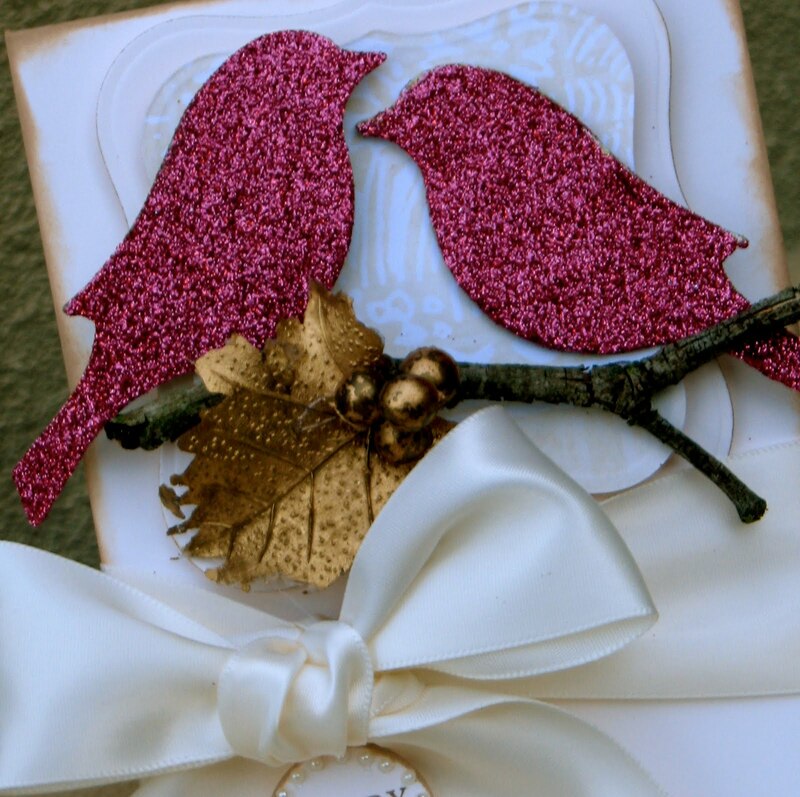 The first card was inspired by the Glittery birds and the pearls and leaves used in the topper. 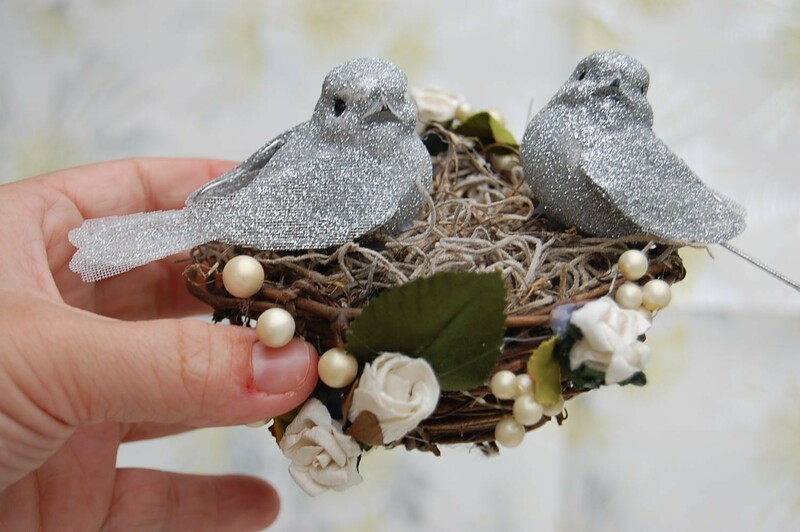 The second card was inspired by the actual birds in the cake topper and it's woodland whimsical theme. 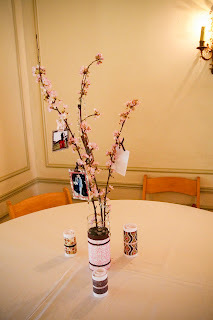 For this challenge, I was lucky because the paper's and birds on the branch that I used were left over supplies from my wedding centerpieces and the birds on my favors. Here's some pictures from the centerpieces and favors that resemble the work of this shop, which is probably why I love this shop so much. 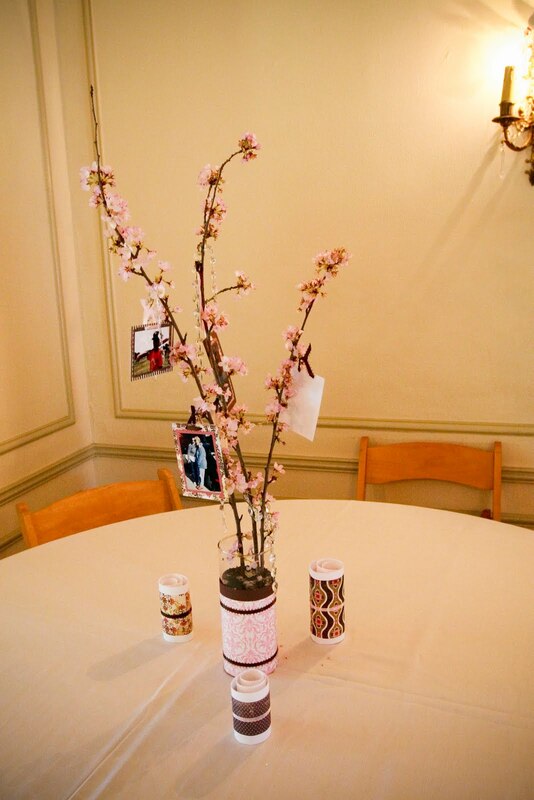 The centerpieces were wrapped in various patterned paper that fit the brown and pink color scheme. Cherry blossom branches held handmade matted pictures on patterned paper that showcased my husband and I growing up. 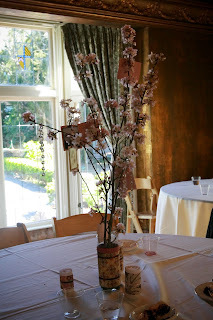 Additionally, "quilled" paper rolls surrounded the centerpiece, while Swarvoski crystals hung from the branches. 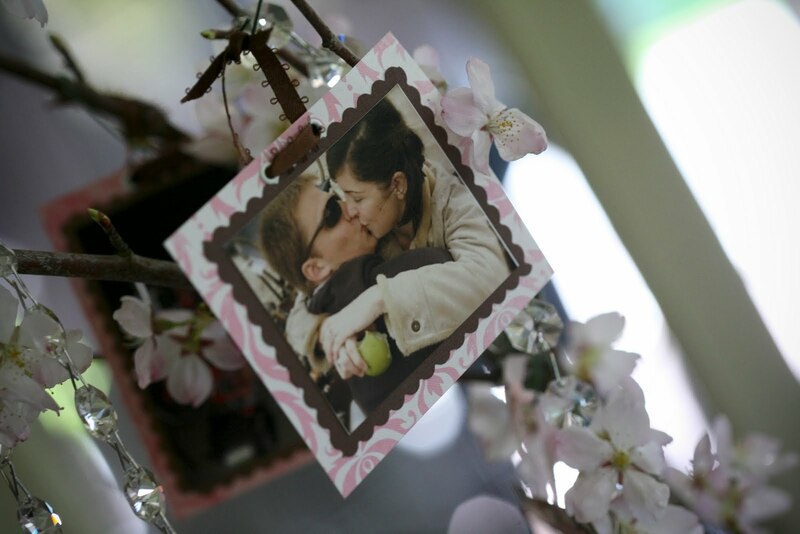 Close-up of the matted photos hanging from the cherry blossom branches, which were a main motif of the wedding in addition to the little birdies. 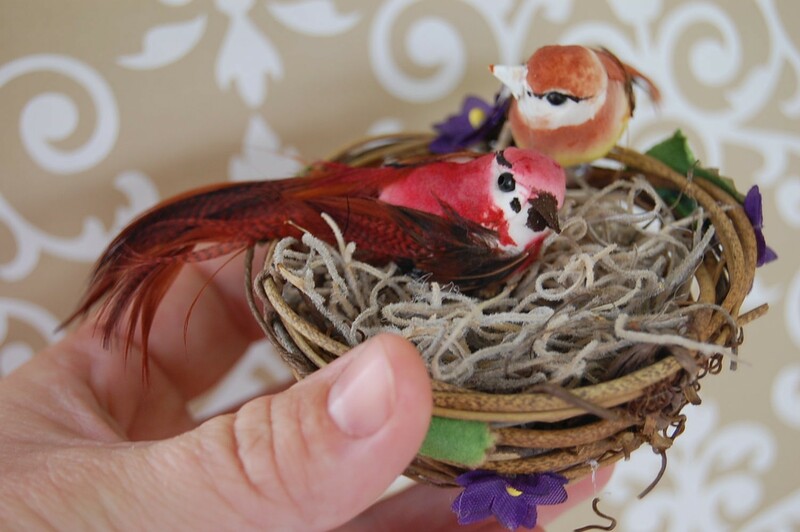 Favors that held little birds in love on a nest. Cherry Blossoms adorn the top before you open the box to find little chocolate eggs that wish you "Bon Ape-tweet!" Okay, so enough of that! I just couldn't help but share what else you could do with the precious birdies and nests that Becky Kazana uses in her designs. I hope the cards, and wedding extras will inspire you this week to create something fabulous. 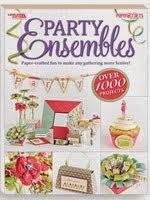 Remember to make sure and post your design by friday to Etsy Inspired Challenge for your chance to win. This week's winner will have the opportunity to win three fabulous cards from the shop, including this card titled "Waiting on You"one! This week's sponsor is Bugaboo Stamps. Bugaboo Stamp's is an online store of digistamps. 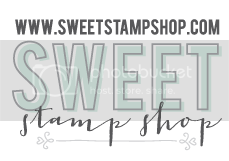 Digital stamps are files that you download to your computer and from there you can color, paint or paper piece the stamp image. Her collections range from cutesy to her collection of ladies with attitude. 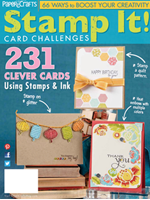 Bugaboo Stamp's has a wide selection of stamps, so you're sure to find something fabulous that inspires you! Bugaboo Stamp's is generously awarding the winner with 7 digistamps of their choice! Wow!! So, get creating for your chance to win. And, don't forget that next week is our BIG 100th Challenge event! Lots of Sponsors and Lots of GOODIES for the winner! Make sure to post your design by friday to Etsy Inspired Challenge for your chance to win. And, make sure to also take a look at the beautiful, amazing work of the Etsy Design Team to help inspire you! Cardstock: (Vintage white) Papertrey Ink. 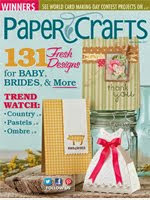 Patterned Paper: (Lullaby Lane colleciton) Webster's Page's. Fibers: (White satin ribbon) Offray. Clear Stamp: (Sentiment from Mixed Messages set) Papertrey Ink. Dye Ink: (Rich Cocoa) Tsukineko. Accents: (Bird chipboard die-cuts) American Crafts. (White pearls) Michael's. Other: (Circle Punch) Fiskars. (Dies) Spellbinder's. (Twig). (Gold leaf, berries) Michael's. Patterned Paper: Assorted papers from Basic Grey and Anna Griffin. Fibers: (Pink satin ribbon) Offray. Chalk Ink: (Creamy Brown) Clearsnap. (Pixie Petal) Tsukineko. what fab fab cards, looooove them! Love that card rack. I need one of those :) Also, your cards are amazing. Lovely designs. Gorgeous cards! 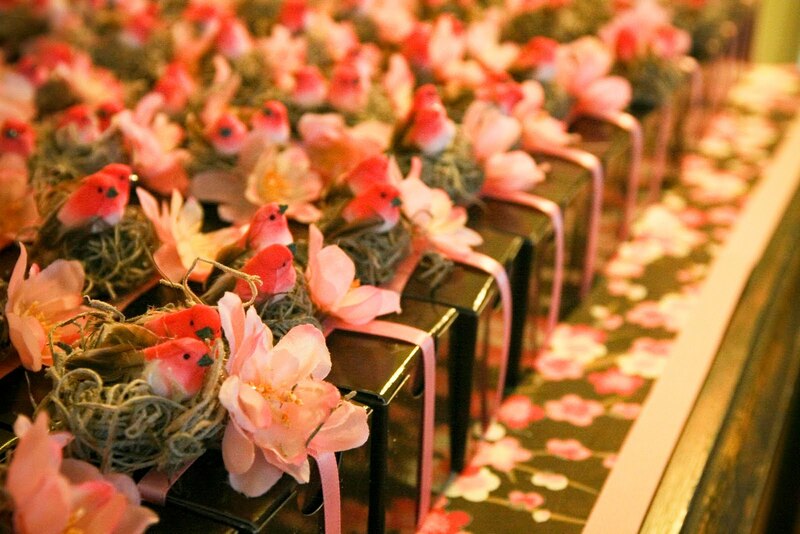 And what cute wedding favor boxes! LOVE your find of the card rack (to hold your own cards!!) and ribbon holder(looks so neat)! !FANTASTIC project you did!! Love the birdie re-purposing! 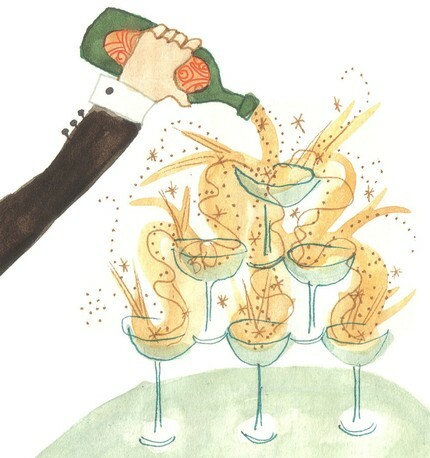 Love your fabulous recycling ... gorgeous cards. Emily! You have outdone yourself! These cards are amazing! I love how you used items from your wedding too! 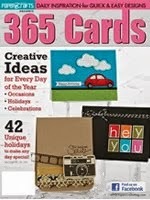 Perfect for this shop and what amazing cards you've created! Love your new organizational finds too! Love your finds! WOW your cards are such stunning. Love your take on this challenge. I just love your creative style. Thanks for this eye candy along this Etsy hop. Your cards are spectacular! I love them sooo much! They are magazine quality! GET OUT!!!!!!!!!!! I just loooooooooooooove everything on this post!! 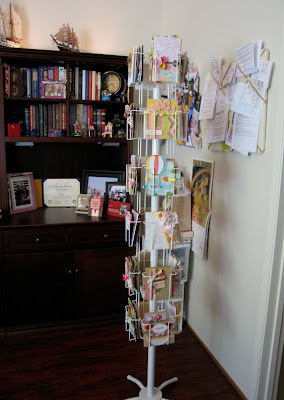 I love your inspiration--those cards---and that spinning rack! I WANT ONE!! I just can't seem to find one I like--except for yours! I just love it all:) You are sooooooooo creative! And I get to call you friend and teammate--LOVE LOVE LOVE IT! Love visiting here:) Great job! Love your card rack, what fun! I just love that card rack - how perfect! And I really love that first bird card - so pretty! Breathtaking cards - wow. I mean wow, wow, wow! So glad played along with the Embellish challenge this week. 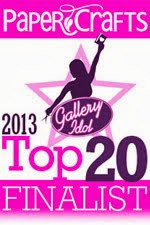 I've been so excited to be the sponsor and I'm thrilled to have made a stopy by your blog. I have one more giveaway on my personal blog! What a gorgeous piece of art! Love this! and I need one of those ribbon racks STAT! :) So glad you played along with us for the Embellish Color Challenge! Gorgeous cards! The details are amazing! Thanks for playing along with us! that card is absolutely divine. the two little birds are framed with the pearls and all your detail is just lovely. congrats on your whats hot spotlight.